Yesterday afternoon, at the Stanford Center for Image Systems Engineering, Dr. Joyce Farrell hosted Prof. M. Ronnier Luo for an update on the latest activities at the International Commission on Illumination (CIE), of which he is the Vice-President. He focussed on the aspects relevant to imaging. Division 7, terminology, has been disbanded because it has finished its work. The e-ILV can be accessed at this link. There is a new CIE 2006 physiologically based observer model with XYZ functions transformed from the CIE (2006) LMS functions. These functions are linear transformations of the cone fundamentals of Stockman and Sharpe, the 10º LMS fundamental colour matching functions. In the plot below, you can see the 2º XYZ CMFs transformed from the CIE (2006) LMS cone fundamentals. Note the different shapes around 450 nm compared to the 1931 and 1964 observer models. The new model is a pipeline in whose stages the age-related parameters can be set. The 10º LMS functions are corrected for the absorption of the ocular media and the macular pigment, and take into account the optical densities of the cone visual pigments, all for a 10° viewing field, yielding the low-density absorbance functions of these pigments. Using these low-density absorbance functions one can derive, taking into account the absorption of the ocular media and the macula, and taking into account the densities of the visual pigments for a 2° viewing field, the 2° cone fundamentals. There is also a new luminous efficiency function V(λ), which has changed mostly in the blue region. There are new scales for whiteness and blackness, which corresponds to those in the NCS system. They are based on the comprehensive CAM16 appearance model. Considering a hue leaf of CIELAB in cylindrical coordinates, the south–east ↘ diagonal scale is whiteness–depth and the north–east ↗ is blackness–vividness. These new scales are particularly useful in imaging for adjusting complexion. The skin colors of Asian and Caucasian people vary along the whiteness–depth scale and those of African people vary along the blackness–vividness scale. Next, Ronnier explained the new color rendering index (CRI) that works also for LED light sources. He also presented a very compelling demonstration of the apparatus used to develop the standard. The new color rendering index is called CRI 2010 and IESNA-TM40. It is based on the measurement of 99 test samples. I was a little disappointed that the new CRI is still based on colorimetry and not on spectral data. 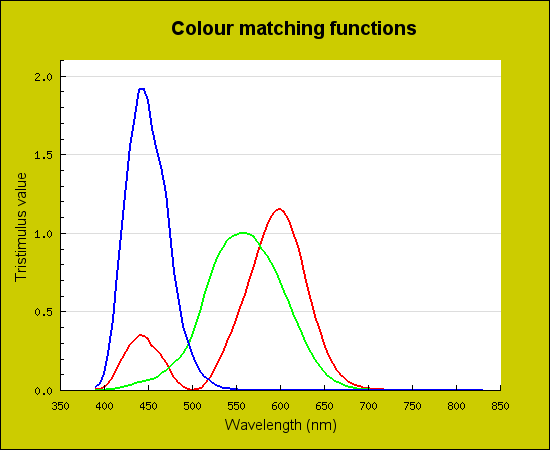 Using colorimetry is an analytical process and having a much larger number of samples helps. However, it does not allow a full characterization of a light source, as we learned many years ago with the tri-band fluorescent lamps. They use less energy, but at the cost of quality. In this case, I am not too much of a fan of the energy reduction because in practice when you reduce the cost of running a light, people will just deploy more lights and in the end you do not save energy. This is so in consumer applications and does not hold for industrial applications. Our environment is not made out of BICRA tiles and usually, we are not in aperture mode. We perceive complex images and the light from a set of spot lamps modulates our ambient. While in the case of OLED or fluorescent lamps we might have diffuse light, with LEDs and conventional halogen spot lamps we have more of a set of directed sources with a rapid fall-off. The rooms in my house are painted in a fusion Italian and Japanese style. The colors are vivid (Italian style), but the paints have a very peaked spectrum so the color is modulated by the illumination (Japanese style). We use older high-quality LED sources with two different green phosphors (the additional one is based on Europium), which we dim. The visual effect is similar to candlelight, except for the correlated color temperature (CCT). From my experience, I think that a CRI model should include the difference between the spectral distributions of the light source and the reference illuminant. I would also like to have two different reference distributions, A for mood light and D for work light. For thousands of years, we have evolved performing work in daylight and relaxing in blackbody radiator light from fires, oil lamps, and candles. When we want to be in a cozy mood, we pull out the candles, which is also common in upscale restaurants. Candles are more expensive and dangerous than LEDs in houses built from flammable materials. Should the new CRI also have a provision for the blue hour? Ronnier concluded his presentation stating that the new research topic is tunable white.